In today’s competitive landscape, brands see customer loyalty programs as one of the key facilitators to grow their business. According to the research group Colloquy, there are 2.65 billion loyalty program memberships in the U.S. alone. In fact, companies spend a staggering $2 billion on loyalty programs every year. Although companies embark on these initiatives with great enthusiasm, they aren’t really aware of how well their loyalty programs are working. That’s because most businesses lack the knowledge to measure and track progress towards their goals concerning customer loyalty. Many businesses blindly continue with their agenda of implementing a customer loyalty program, without stopping to evaluate whether their loyalty program is an asset or simply a black hole for disappearing effort and resources. This blog will help you understand some of the simple and most useful metrics that can help you determine the overall success of your loyalty rewards program. In addition, the blog will also highlight how you can improvise on these metrics with minor tweaks in your engagement strategies. Let’s have a look at them in detail. The repeat purchase rate (RPR) is simply the percentage of your customers who come back to your website/store to make another purchase. It’s a great way to measure Customer Loyalty, because statistics show that repeat customers convert at 12 times the rate of new ones. To calculate this metric, run a report on your total number of customers, followed by your total number of repeat customers. Then divide the number of repeat customers by the number of total customers. Next, multiply that number by 100 to get a percentage (i.e., 0.01 is 10%). Generally a 20-40% RPR is considered a good range. If your RPR is low, that tells you it is a good area to target. Here are some proven strategies for doing so. Offer Incentives: The best way to encourage customers to make repeat purchases is to reward them for multiple activities on the website via your loyalty program. Incentives via rewards programs can motivate users to spend more on your website. Build engagement with email campaigns: Targeted and consistent follow-up email campaigns with special offers can help boost repeat purchases on your website. Simplify the shopping experience: Simplify your shopping experience and increase revenue by creating a user-friendly website and simple navigation that enables customers to browse the site with ease. Foster a sense of community: Building brand reputation and giving personalized experience to customers on social media sites can help build trust and thus increase repeat sales. Redemption rate (RR) reveals the number of customers that have redeemed their rewards by cashing in on point systems or free offers. To determine this number, calculate the number of customers that have redeemed their rewards. Divide this number by the number of customers that have earned them. Ideally, this number should be no lower than 20%. If this number is low, there are several strategies you can try. Reward Points for multiple activities: Offer more variety in the ways that customers can earn points. Birthdays, referrals, and social shares can all be reasons to reward customers. Use location-based marketing: Retailers can leverage location-based triggers to offer coupons/rewards to customers based on their location thus improving redemption rates. PredatorNutrition.com is a leading sports nutrition business in the UK. Launched loyalty rewards program: To boost new customer acquisition and retention, and to complete the 360° engagement module, the brand implemented a loyalty program in conjunction with a built-in referral program. 360-degree customer engagement: Predator Nutrition rewarded points to its loyalty members not just for purchases but also for referring friends, reviewing products and following on social media networks such as Twitter, Facebook, Instagram etc. Redemption options: It offered several exciting rewards in lieu of loyalty points redemption including money-off vouchers, gym clothing, supplements, shakers, personalized training and diet programs. Gamification of Tiers: The brand designed customized loyalty tiers for its loyal customers and gamified it. The tiers include Leopard, Jaguar, Lion, Tiger, Great White Shark and T-Rex. Average Order Value is a metric that determines how much your customers love you as measured by how much they are spending. Combined with other measurements, it’s a great way to track success. After all, even if all your customers make repeat purchases, this doesn’t do you much good if they are not spending. The Average Order Value gives you a dollar amount to indicate the average amount that your customers spend on individual orders. You can find this number by dividing revenue by the number of orders. If you need to increase your AOV, there are some common and effective tactics. Volume discounts: You can provide volume discounts on a minimum spend. For example, get $5 off when you spend $50, get $10 off when you spend $100. Packaged deals: Providing packaged or bundled deals can help boost the AOV. For example, you can provide a buy 2 and get 1 free deal. Show cross-selling options: It always useful to offer complementary or additional products to a customer based on what the customer is buying. For example, a person buying a laptop can also be shown the option of buying a laptop bag or an external hard drive etc. How are your website subscribers affecting your bottom line? Are they buying? And how much are they spending? The answer lies in your Revenue per User, a number which indicates the conversion rate and revenue generated by each user/subscriber. Increase selling price: Are you charging enough? This is the question that you need to ask yourself. You can increase the prices of your products to boost the Revenue per User. Increase transaction size: Increasing the overall transaction size can be one of the most effective ways. Some of the strategies like cross-selling, upselling and volume selling can be used for increasing the average transaction size thus boosting the Revenue per User. Evan-Moor Educational Publishers, the well-known educational providers with practical, creative and engaging materials that enrich the PreK–8 curriculum. Launched loyalty rewards program: Launched the Evan-Moor Rewards Program to boost customer engagement and repeat purchases. 360-degree customer engagement: Awarded loyalty points for multiple activities such as purchases, referrals, account creation, uploading a photo and signing up for email subscription service. Redemption options: The brand offered gift cards for $10, $20 and $50 that can be redeemed in exchange for the awards that are built up, with points accruing at a rate of 1 point for every $1 spent. Measuring customer loyalty is much simpler than most business owners realize, and it’s a necessary step to ensure that you are on the right track with your goals and initiatives. Don’t waste time with customer loyalty programs that look good on paper, but aren’t accomplishing anything. Evaluate your program as frequently as possible on a variety of metrics, and you can be confident that you are growing a solid and staunchly loyal customer base. Learn more about how using the right shopping cart software can be the difference in customer loyalty for your online store. 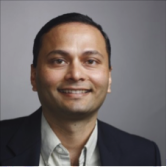 Samir Palnitkar is VP of Customer Success at Zinrelo, a technology company that specializes in loyalty rewards programs. He is a serial entrepreneur who has done four successful startups prior to Zinrelo. He is an expert on building and growing “retention-first” businesses. He frequently writes on customer retention, loyalty and rewards programs.